If you’re like many IT professionals, you’ve spent a lot of time managing projects across teams. It’s actually part of the job. At some point, you’ve probably looked into project management certifications to validate your experience, and perhaps bolster your credentials for your next career move. So let’s review the leading certifications and take a look at the pros and cons of each. As the names suggest, PMI® is dedicated to project management, whereas CompTIA is a more generalized organization that covers a range of IT and related areas. Between these two organizations, there are three big project management certifications of interest to IT professionals — the Certified Associate in Project Management (CAPM®) and the Project Management Professional (PMP)®, both from the PMI®, and CompTIA’s Project+. If you are an IT professional and want to add project management to your overall portfolio of technology skills, then Project+ is probably your best certification path. Combined with project successes on your resume, the Project+ badge demonstrates your ability to manage small- to medium-sized projects. The main difference between the CompTIA and PMI® certifications is that PMI® focuses on project management professionals, whereas CompTIA’s target audience is IT and business professionals who manage projects as part of their overall responsibilities. While it’s recommended that you have one year’s experience in managing — or participating in — projects, there are no prescribed prerequisites for Project+. While there are no prerequisites for the exam, it’s certainly not a sure bet. You’ll need a passing percentage of at least 79 percent on the 90-minute timed exam. Let’s say that you’re serious about focusing on project management as a career specialty. If you’re still a relative newcomer to project management, then you should consider the PMI® Certified Associate in Project Management (CAPM®) certification. The CAPM® is an entry-level certification perfect for new project managers — as well as for those IT professionals looking to add project management to their technical credentials. It’s fair to say that CAPM® is several steps beyond CompTIA Project+ in a few ways. As if that’s not enough, you’re expected to retake the exam every five years in order to maintain your certification. There’s a $300 fee to take the exam—$250 if you’re a PMI® member. Finally, the PMI® Project Management Professional is basically for full-time project managers. Like the CAPM®, we rated the PMP® as one of the 10 most difficult certifications to acquire. We also ranked it fourth on our list of the Top 10 highest paying IT certifications. The PMP® is the gold standard project management certification for North America. The certification has a high degree of difficulty and requires serious real-world project management experience to even apply to take the exam. If you have a 4-year degree, you’ll need to prove that you have 35 hours of project management education, as well as 4,500 hours (that’s more than two years) as a project leader or manager. If you don’t have a 4-year degree, you’ll need to have spent 7,500 hours (nearly four years) leading and directing projects, plus the 35 hours of project management education. 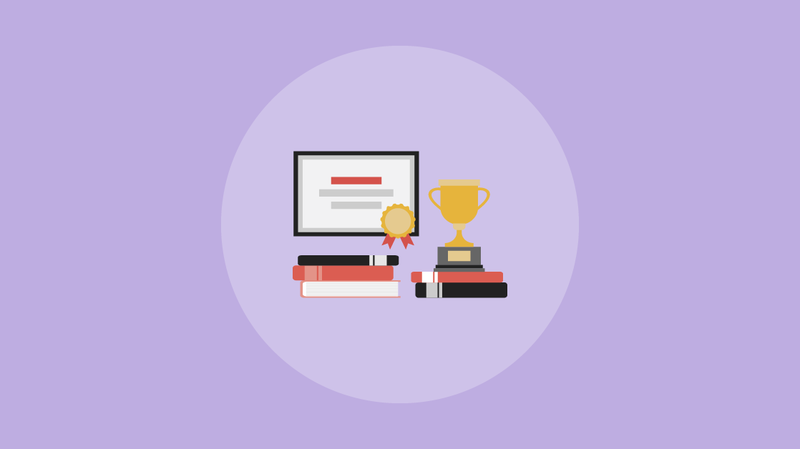 So you’re qualified to sit the PMP® certification exam. Get ready for a four-hour test with 200 multiple-choice questions covering the five life-stages of a project. In order to maintain your PMP® certification, you’re required to earn 60 professional development units (PDUs) every three years. But there’s an upside to all this hard work. According to the Project Management Institute, PMI®-certified practitioners earn 23 percent more than their non-certified peers. What’s the bottom line? If project management is not your primary career focus, then your best bet is to go for the CompTIA Project+ certification. It carries a good reputation and is certainly more easily achieved than either of the two PMI® certifications. If you’re on track to become a bonafide full-time project manager, then CAPM®, followed by PMP® is the track you should follow. Depending on your years of project experience, you may consider going straight for the Project Management Professional.